Some white travellers in Asian countries have been getting a bad rep recently for their behaviour — specifically ‘begpacking’ — the act of begging locals for money to fund their travels. But recently, it appears that these ‘begpackers’ are getting more extreme and desperate. 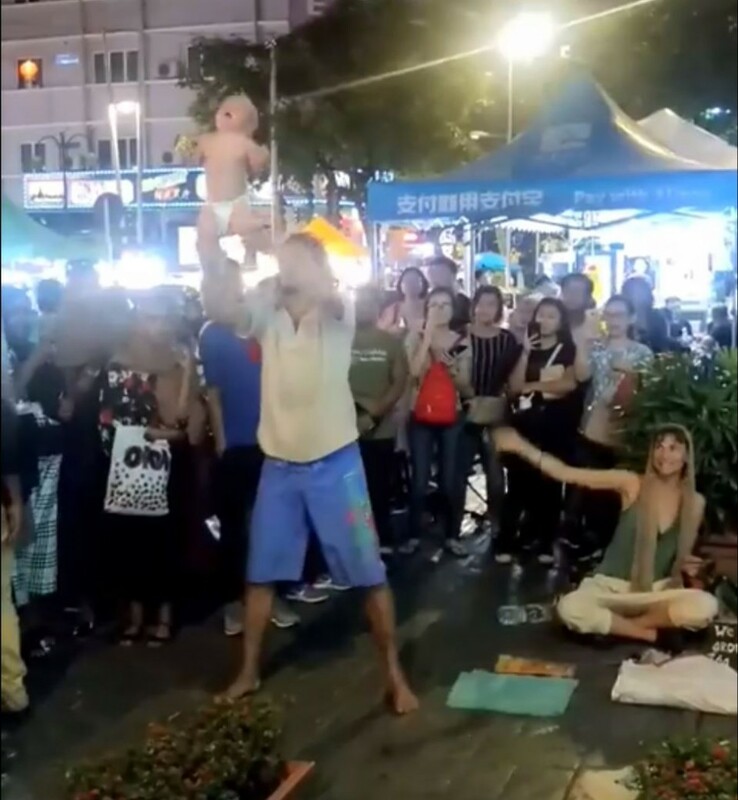 A netizen shared a video taken in Bukit Bintang of white tourists performing a bizarre act while dangerously using a baby as a prop. 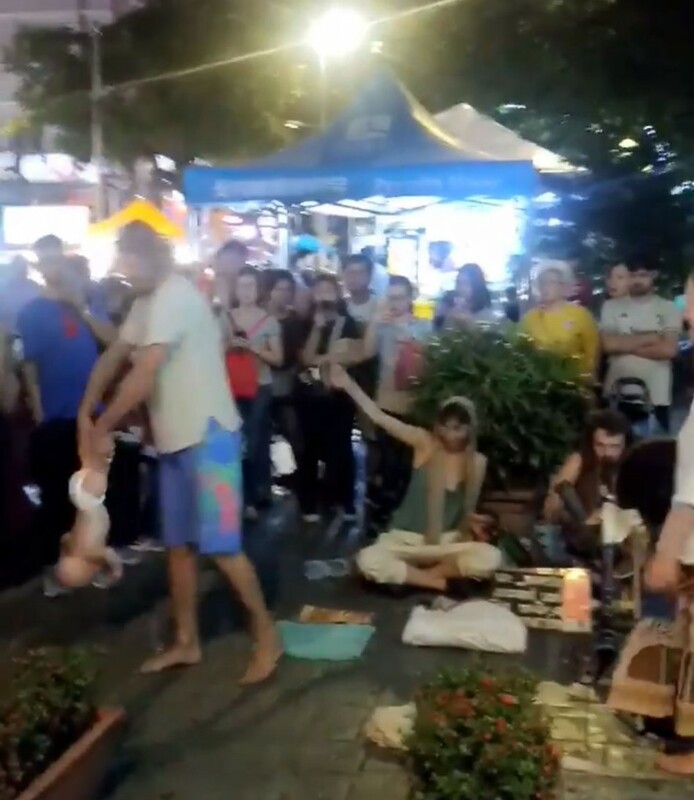 The man is shockingly seen holding the baby’s legs and swinging it around vigorously for over a minute. The baby does not seem to be crying or upset but it could be because it is in a state of shock. There is no information if the child belongs to the man or the woman seen in the video or if the child is hurt from the performance. Additionally, there is no update if authorities have taken action against the tourists or to protect the child in the video.